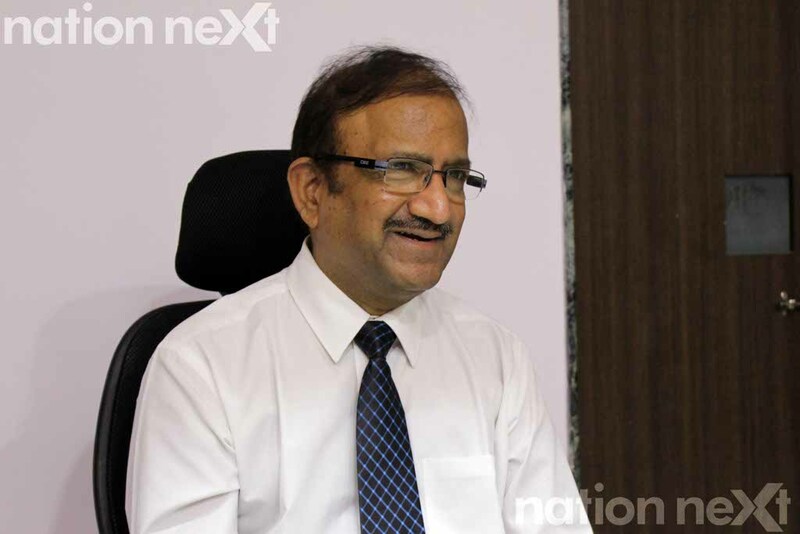 Dr Jay Deshmukh, one of the most reputed senior physician and intensivist of Nagpur, has come a long way in his medical profession. From merely handling one to two patients a week (when he started his practice years ago), to herds of patients today, Dr Jay Deshmukh is not only one of the most sought after physicians in Nagpur, but he also treats patients from far off countries like the United States, Pakistan, United Kingdom, South Africa, Sri Lanka, Singapore, etc. In a heart to heart chat, Dr Jay Deshmukh tells Nation Next how saddened he was after he was wrongly accused of declaring a living man dead in 2014. He also speaks about two major areas of concern in medical field – generic medicines and patient confidentiality. The trust deficit between doctors and their patients has been on the rise. How do you look at that? It’s challenging majorly for young doctors. I believe over a period of time, if there’s better communication between the patients and doctors, this problem might subside. However, there is always a major concern of loss hoods. There’s no fixed principal of treating patients. This is not arithmetic where one plus one is equal to two. Patients’ patterns of illness differ from one another, and they respond differently to the same therapies. Almost 99% doctors are well informed, honest and dedicated, but at times, patients may not respond the way they should be responding. Also, soap operas on television don’t depict the medical profession in a very good light. As a result, people are only getting exposed to the negative and grey areas. TV and cinema portray doctors as professionals who are just behind minting money. Doctors on their own always carry out required investigations only. Initially, if patients came to me with longstanding headaches, and if their reports were found to be normal, I would just prescribe them the required medicines. But now, the patients themselves insist for a CT scan if they have chronic problems in their brains. If a patient is poor, he may not go for detailed diagnosis, but affluent patients usually prefer it that ways. Also, people should realise that doctors are also human beings, who follow their instincts, knowledge and wisdom that they possess through training. They might not be right all the time. I was deeply saddened because the entire report was fabricated. The patient did not die. We even have the CCTV footage and the case records of the patient as a proof that his relatives took away the patient from the hospital in a bad condition, but he was alive. We never issued any death certificate. The patient even came back to us after a day and a half. Had the relatives of that patient had any genuine grudges, they would’ve lodged a police complaint against us. Neither the patient died, nor he was ever declared dead! I was defamed for no reason. I have given my 30 years for my practice and I have experienced intensivists working with me. I was deeply hurt but there was no way we could counteract this situation because even the newspapers portrayed it in a misleading way. They should have clarified the issue before publishing it by checking the authenticity of the records. You are a family doctor of many, who pose a lot of faith in you. How did your regular patients respond to this controversy? They were extremely sympathetic and supportive towards me. They always knew that I could never do something like this. It was somebody’s figment of imagination, and the media illogically blew it out of proportion. More than professionally, emotionally I had to suffer a lot. Professionally, I was far more stable in dealing with this controversy. I then realised who were my true friends and who were not. I emerged a bit stronger after that. I just feel ashamed that the media published such blatantly wrong information so carelessly and irresponsibly, without even getting to know the facts. Both your sons – Abhishek and Arjun – are doctors. Your younger son Dr Arjun Deshmukh too is a physician. How do you help him in his practice? Arjun is an MD in medicine. I can tell him how to implement the basic principles of clinical practice. We keep discussing rare cases. I still feel practical training is differently important than theoretical training in medical colleges. It’s of a great help for him right now; and over a period of time when he gets fully trained under me, he could be a great help for me as I would have more helping hands. Arjun has taught me to be more professional by not being too sentimental with the patients. All doctors are emotional because we spend almost 14-15 hours curing our patients, everyday. Do doctors pressurise their children to pursue medicine? Arjun was given a free hand to decide his career interest. I even gave him the option of practicing in Mumbai or abroad like my elder son, Abhishek, who is settled in USA. I have absolutely no qualms about it. I just want them to be good doctors. Where they practice is their choice. Our hospital is already a public limited company; we can have more people joining us. What are the clinical challenges a physician faces today? Far too many! Major challenge is the number of patients in India as compared to the western countries. We treat lot many patients than we should be really treating. Patients have tremendous faith in us and their disability to spend on their own health prevents them from getting properly diagnosed. Most patients don’t carry insurance for themselves and hence they have to spend money from their own pockets. When that happens, they tend to cut corners, as they are not happy spending money. As a result, their health takes a beating. With the advent of super specialty hospital like yours (Sunflower Hospital), these days medicine has become a very cost intensive business. Against this backdrop, how much importance do virtues like respect and trust are relevant for doctors? Tremendous! Trust is paramount. Without trust, no relationship can be maintained. Likewise, trust should exist amongst the patient and the doctor. The medical profession, which used to be a male preserve till not so long ago, seems to be opening up for women. Do you think we’ll finally get to see gender equity in medicine? This is bound to happen. There are a lot of reservations for women in medical colleges. Most of the young boys are opting for engineering. Naturally this gap is bound to narrow and it’s good. The government is gradually pushing the cause of generic medicines but most of the doctors are still not prescribing generic medicines. Is it merely to suit the interest of pharmaceutical companies? No. In fact, doctors would be the happiest if generic medicines are made available. One always doubts the quality and efficacy of the generic medicines. If I use inferior quality medicines, my fear is that my patients would not respond that well. If a generic medicine is as good as regular medicine, then it should be definitely prescribed. ‘Patient confidentiality’ seemingly does not exist in Nagpur. A lot is discussed amongst the doctors over drinks. Are the doctors at large aware that it is illegal? Patient confidentiality exists in Nagpur. Over drinks, when doctors discuss patients, it’s a close group. Most of the times, the cases are discussed anonymously. If at all names are taken, they are usually of celebrities or politicians, but that is rare. Having said that, confidentiality clause should be there. One should not discuss patient issues with non-doctors. There are times when we discuss case studies in our hospital, but we conceal the identities of the patients. In fact, the patients’ problems are mostly discussed among the doctors on a positive note. I started my practice from scratch. I would travel on my second hand scooter. That was the time when I would have one to two patients per week. Today, we get patients from the United States, Pakistan, United Kingdom, South Africa, Sri Lanka, Singapore, Nepal, etc.